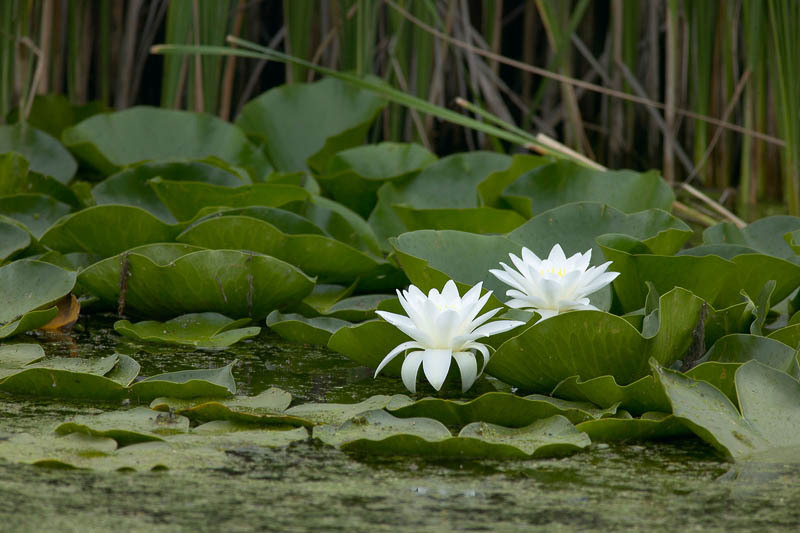 Water flowers with beautiful white blooms. Blossomed wild plants. Botany, flora.